The Queen Victoria01485 541344work InnComfortable, contemporary rooms, hearty home-cooked meals, fine beers, real fires and a friendly family welcome. 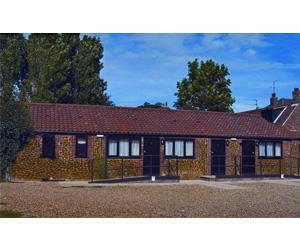 Perfect for visiting friends and relatives or simply relaxing in this beautiful part of Norfolk. Comfortable, contemporary rooms, hearty home-cooked meals, fine beers, real fires and a friendly family welcome. Perfect for visiting friends and relatives or simply relaxing in this beautiful part of Norfolk. Ideally located for a visit to the historic houses of Norfolk, the wonderful old harbours at Brancaster and Blakeney. Spectacular bird reserves of Snettisham and Titchwell and miles and miles of walks or cycle rides along the rich coastal path or Peddars Way. From Kings Lynn follow signs A149 (Cromer) and Hunstanton. Knights Hill roundabout continue along the A149 through beautiful Sandringham woods to Dersingham. Take the by-pass toward Hunstanton and continue to the next roundabout. Here take the 2nd left to drop back down into Snettisham and at the bottom of the hill by the sharp left hand bend you will see us on the right.